SugarSync gives you the possibility of storing your files in the cloud and to make them available across various platforms. Instead of carrying the data around with you on a USB drive, you can upload it to the cloud and access it from anywhere in the world, even if your home computer is turned off. The best part is that SugarSync makes uploading and sharing data as quick and easy as possible. Once you have SugarSync up and running on your Mac, you can start uploading your data right away, without making any kind of configurations. The application comes with a user interface, on which you can decide which folders to upload to the cloud. A sync folder is created by default, which you can open instantly, through an icon on the menu bar. Anything you store in this folder will be sent to the cloud automatically. Besides the main sync folder, you can add your own folders to a list, on the application's user interface, to make them work in a similar manner. Regardless of its origin, uploaded data can be accessed on a web interface, from any computer and even from mobile devices, with an online account. You can download your data without any effort and it is also possible to share it, via direct link or on various social networks. 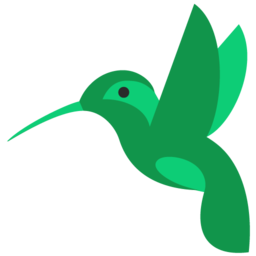 The application keeps track of your uploaded data, shared files and other activities. This gives you the possibility of finding share links quickly, if you wish to share a file again in the future, review your uploads and downloads and so on. You can even keep track of your linked devices, which can be PCs, Macs, as well as Android or iOS phones or tablets. The possibility of seamlessly accessing your data from anywhere in the world, on almost any devices is exactly what you can expect from SugarSync. 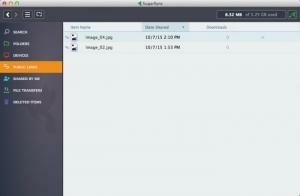 You can upload files to the cloud just by storing them into one of your local folders. The application lets you decide which folders should be synchronized with the cloud. It lets you access a user friendly web interface, where you can find many useful options. There are no serious issues to mention. You can download SugarSync free here.